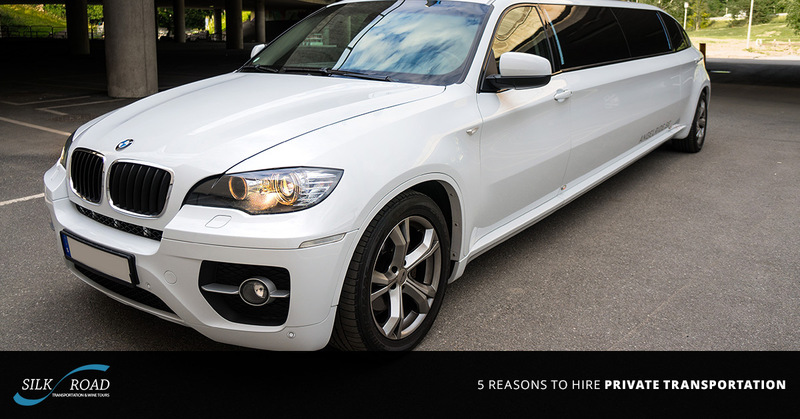 Private transportation is a must for any special occasion or for any day that you simple want to make special. Private transportation can not only take the stress out of any special occasion, but can keep the party going all night long and will keep everyone safe, for no one will be tempted to drink and drive. Plus, having a limo, party bus, or chauffeur can add a little something special to an already amazing event. Here are some special events to consider hiring private transportation service for in the Santa Ynez Valley area. Your wedding day is already special, but hiring a limo driver or any private transportation service can make the day feel even more magical and may take a great deal of stress out of your day—which we all know less stress is best on a wedding day! Hiring a limo or chauffeur can be a great way to get all of your wedding party to the venue together and on time. It’s also a great way to get the bride and groom to the airport or their hotel after the wedding safely and stress free. Be sure when you are ordering your limo that you take into consideration how big the bride’s and bridesmaids’ dresses will be. Santa Barbara and the surrounding areas bring in some of the biggest names to put on concerts that will be talked about for months after. If you are seeing your favorite artist with friends, why not make a night of it? Reserve a party bus, limo, or chauffeur to drive you to and from the event of the evening; not only will you not have to pick a DD for the night, but also, if you hire private transportation service, the night and the memories you create will not fade from yours and your friends’ memories soon. Just like a concert, sporting events can also be special occasions where long-lasting memories are made. Hire a party bus to take you and your friends to and from the game in style and keep the party going all night long! Southern California has incredible teams. Buy some tickets for your favorite team, invite some friends, and purchase our Sporting Event Package. Everyone loves a night for dressing up looking their best, drinking some of the best drinks in the area, and testing their luck. If you decide to spend a night or two at Chumash Casino, why not invite some friends and reserve a limo or private transportation service to take you to and from the casino in style, allowing you to enjoy your evening, make memories, and maybe even score the winning ticket! If you are planning a wine tour in the Santa Ynez Valley, you should hire private transportation and specifically chauffeur service from Silk Road Transportation & Wine Tours. We can not only provide you the highest quality private transportation service, but we offer a unique package for you and your guests to experience the best wineries the Santa Ynez Valley has to offer. We can give you the “inside scoop” and provide as part of the package a catered lunch! Visit our website to learn more!